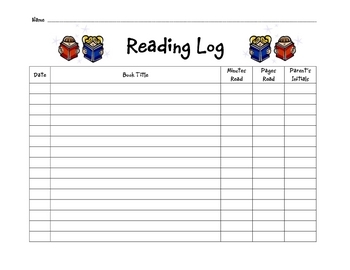 This is a reading log that I have my students keep in their Home Folders. One of their nightly homework assignments is to read for atleast 20 minutes. This form helps to hold them accountable for their reading responsibilities. Each night after they have read, they must record the date, title of the book, page number read, amount of time read, and have their parent sign that they have completed their reading for the evening.